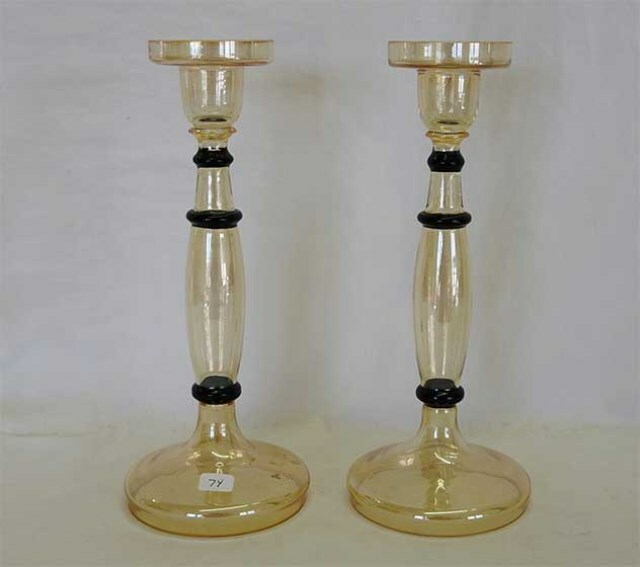 These 10-inch tall candlesticks are of the blown type and of unknown manufacturer. 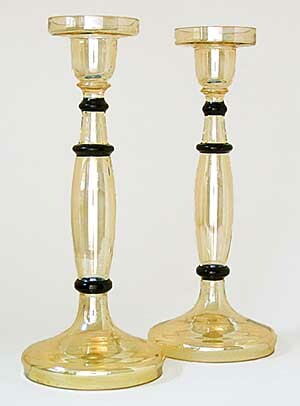 They have a 4-inch base and are marigold. Sold at auction in 2003 for $100.